Scraped knees, way too much energy, birthday parties and lollies and the little outfits that you eventually look back on fondly. Bright colours and eternal summers. 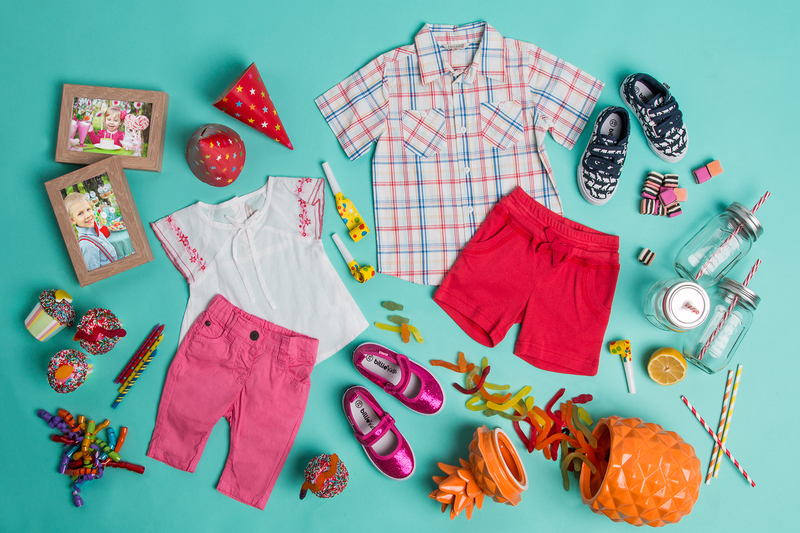 Our awww inducing baby’s first party flatlay features some awesome products from Catch of the Day to give your little one an awesome birthday party. So grab your party hats, rip open a bag of lollies and place the candles on the cupcakes! Pop over to our Pinterest for loads of awesome inspiration. For more Kids Style By Catch, keep following Catch Culture! Next Next post: Catch Culture’s Most Anticipated Games of 2015!